This package contains two (2) Decorated Metal Plates & Knobs. Use them to embellish any of your craft projects. Approximate size 1" x 3" for the Plates and 3//4" x 3/4" for the Knobs. 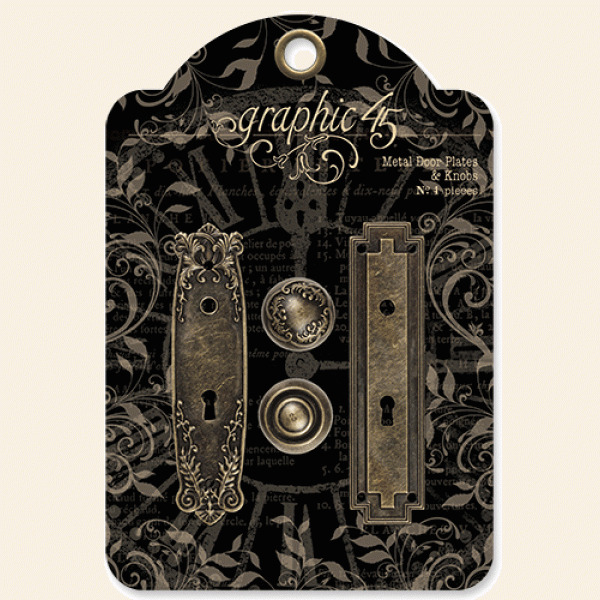 Product by Graphic 45. Look for other Graphic 45 Staples and Paper Collections.